As we progress into the cooler months, the winter room becomes a focal point of the home. Whether it be a unique, year-round space of the home or a multi-seasonal living room that adjusts accordingly – it is important to have it developed as winter approaches. 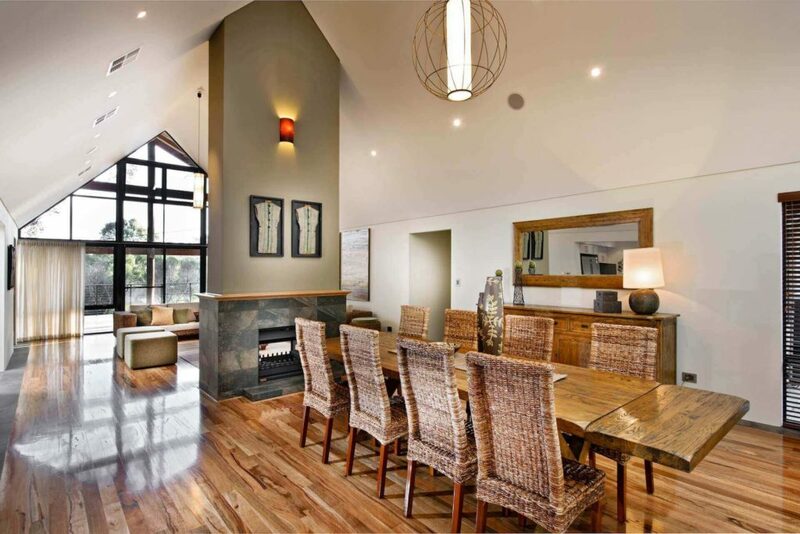 As seen in the Karridale Retreat, a designated ‘winter room’ creates the ultimate atmosphere for winter entertaining. As the ‘winter’ space sits at the opposite end to the summer room, in the expansive open plan living area. The intimate space offer multiple lounge and seating options, including a small dining table. Allowing users to enjoy the warmth from the central fireplace and relax in a cosy environment. The space is complete with beautiful external views and verandah access. Most homes would typically enjoy a multi-seasonal open plan living space, that has no division. Featuring reverse-cycle air conditioning for the hot summer conditions and a larger area space to relax in. The furniture has great separation and minimal layers, to keep the space as cool as possible. However, for the upcoming winter months, we recommend the space be transformed. Furniture may become closer in proximity, layers are added such as additional pillows or throws for added warmth. Of-course our favourite centre piece to any winter space is a fireplace. Whether you desire a traditional fireplace, rustic fireplace or a modern fireplace; it truly completes the ‘winter room’ and and creates a warm, welcoming environment.